February 2017 marks the 75th anniversary of Executive Order 9066 a document that President Roosevelt signed in 1942, two months after Japan’s attack on Pearl Harbor. The order resulted in the imprisonment of 75,000 Americans of Japanese ancestry and 45,000 Japanese nationals in prison camps across the country, many being relocated far from home. 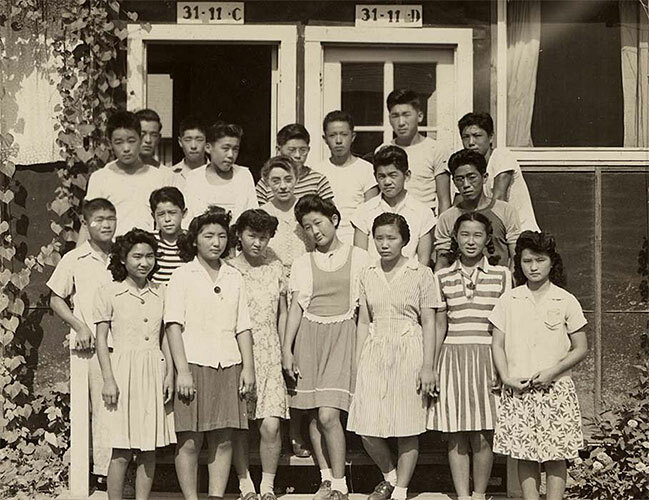 Some 40 years later, the U.S. Congress formally recognized that the rights of the Japanese American community had been violated and President Reagan signed the Civil Liberties Act of 1988, providing an apology and restitution to the living Japanese Americans who were incarcerated during World War II. The exhibition explores this history through the Executive Order 9066 document on loan from the National Archives, original artwork by Roger Shimomura, who spent several years in the Minidoka Camp in Idaho, along with historic images and objects.